The producer who brought you RadioActive, now presents 4 super visual effects of Rizki Nanda, a rising star in the magic community. Broken Wings: A card is freely selected and signed, then cleanly ripped into two separate pieces. At your command the torn halves become fully animated and slowly restore themselves at your fingertips! 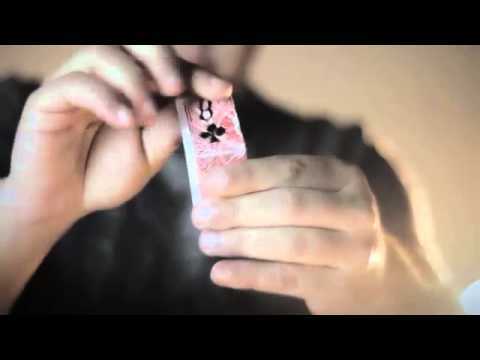 CIF: The magician folds a playing card into quarters, and secretly writes a prediction on one side. Once the participant has selected a card themselves, the prediction is turned over to reveal that it is incorrect! With just a wave, the ink of the prediction visually transforms into the correct value of the chosen card. As a kicker ending, the prediction is unfolded to reveal that it, too, matches the selection! TransVo: Two differently-colored folded cards are introduced, and the spectator is invited to choose one of them. Instantly, the selection vanishes and reappears inside the magician's wallet, thanks to a powerful message found written inside the second card. For more magic by Rizki Nanda click here.